I was in the middle of an intense conversation, anxious and on the verge of tears, when I decided to step outside. There, on the porch, I found a bottle of bubbles. I dipped the wand, waited for the soap to settle, and started blowing magical spheres into the breeze. The bubbles lifted, wandered, and found a place to land. Each disappeared with a pop. 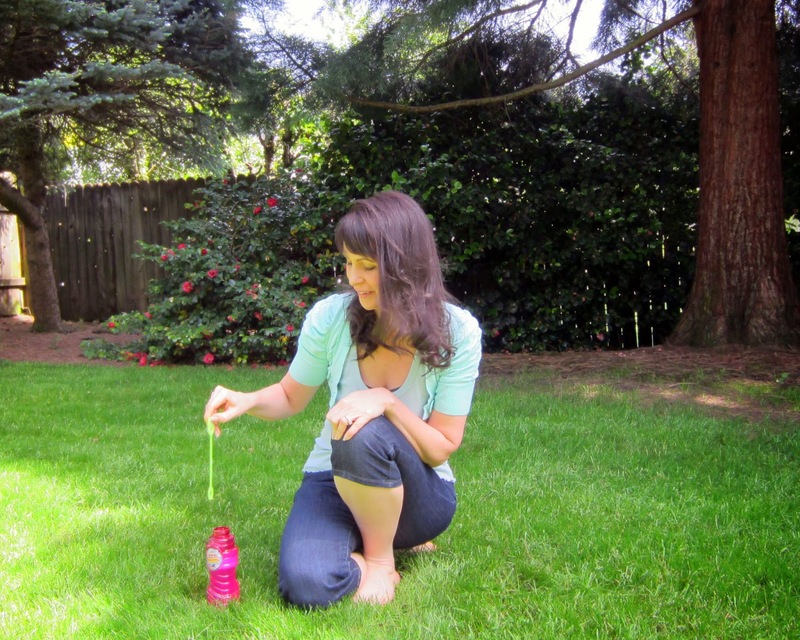 That's when I decided to use bubbles as a tool for being in the moment. Bubbles remind me to play. They remind me that this blown sphere I live on is also fragile and temporary - and full of wonder. 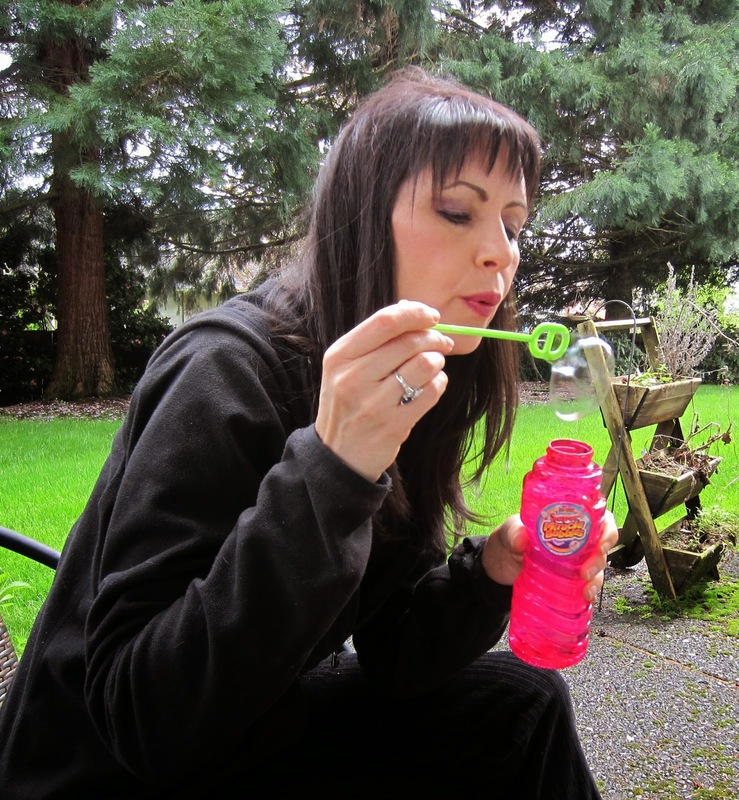 I've found out cloudy, humid days are better than sunny ones for making bubbles. I've found out if you bring bubbles on a walk, your friend will spend several minutes attempting the perfect bubble and smiling. It's a tiny act of creating, akin to the other creating I do. Acts of creation call forth beauty and enjoyment and take me away from my mostly self-made problems. 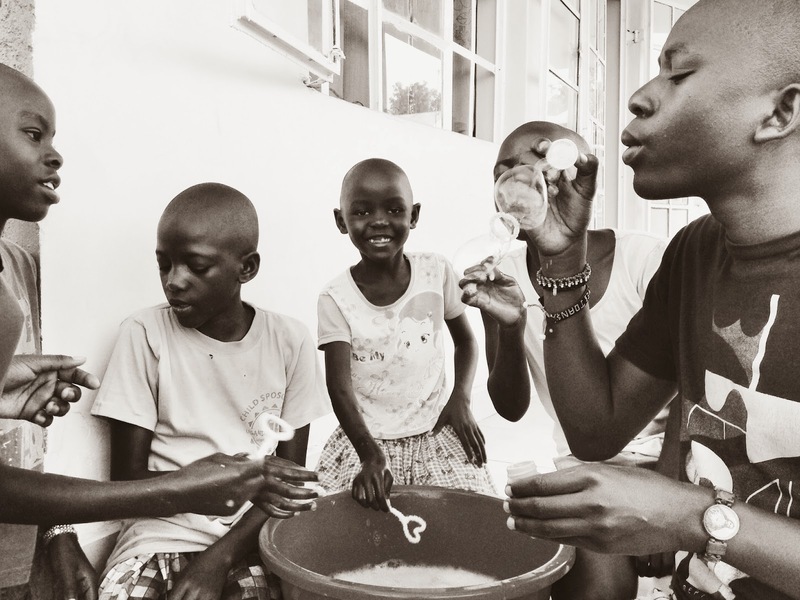 The top image by Danica captures the pure joy of children in Kampala, Uganda blowing bubbles. 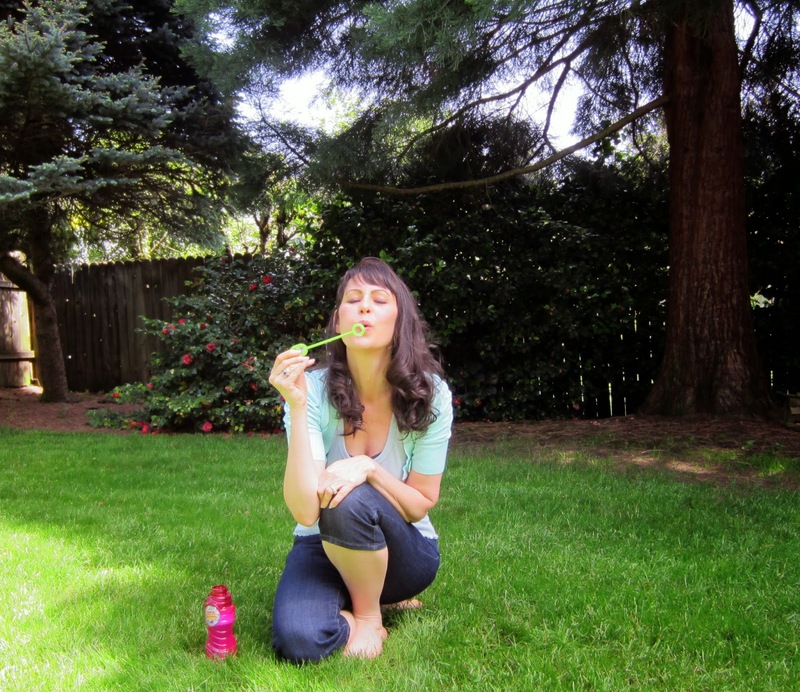 What's your bubble story? Blow some bubbles. Describe them.